Much like us, dolphinkind draws happiness from the relationships they foster — including those with humans. A team of French researchers tried to gauge what dolphins in captivity look forward to most. The study — which they say is the first of its kind — focused on animals from a marine park near Paris and found that they just can’t get enough playtime with a familiar human. The study came as part of a three-year project meant to measure dolphin welfare in captivity. It’s the first effort to understand the subject from “the animals’ perspective”, the team writes, and shows they’re surprisingly similar to us: the results show that “better human-animal bonds equals better welfare”. The experiments included three settings. One was the control, in which the dolphins were left alone to do what they wanted. The second involved adding toys to the pool but leaving the dolphins alone. The third one involved a human trainer who came in and played around with the animals. 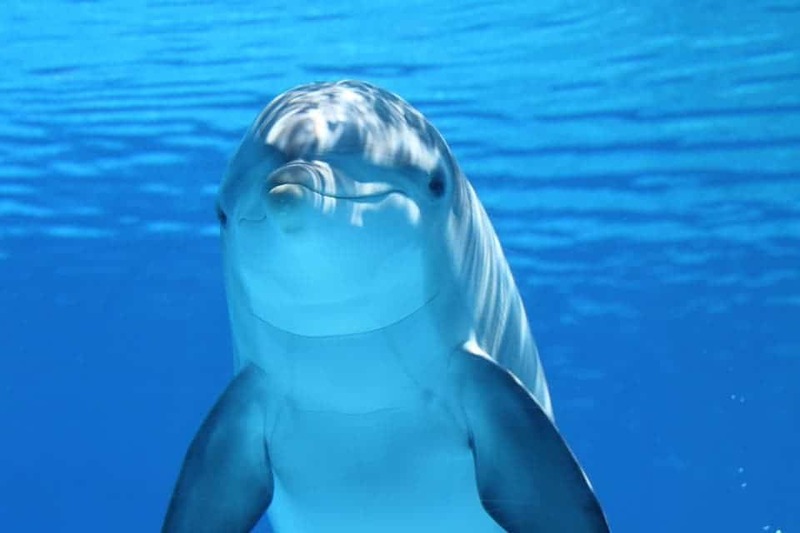 “We found a really interesting result – all dolphins look forward most to interacting with a familiar human,” Dr. Clegg told the BBC. The team explains that the dolphins showed their enthusiasm through actions such as “spy-hopping”, in which they would peer above the surface to look in the direction that trainers usually approached from. They were also more active, swimming around the pool in anticipation, and spent more time around the pool’s edge. The findings do raise some interesting points. Relationships seem to be the cornerstone of happiness, overall mental well-being, and health of humans. This similarity may come down to the fact that dolphins are also social animals and quite intelligent ones at that. It may be, then, that we could form similar bonds with other species that espouse such traits — helping us learn more about them in the process. However, the study can’t say if the dolphins are actually happier in captivity than they would be in the wild — it can only tell us that dolphins in captivity really get a kick out of interacting with people. That final point sticks out like an especially sore thumb. According to the Change for Animals Foundation, there are over 2,300 captive cetaceans in 50 countries around the world. However, there are certainly more out there but not officially registered. The study at hand shows that we can make these animals enjoy themselves in our presence — but that doesn’t clear the murky moral question of their captivity in the first place. All this considered, it is undeniable that the whales and dolphins brought into aquariums from the wild have been invaluable to our efforts to understand these species. There’s also an economic and public incentive to maintain this situation — people are curious to see these charming species, and aquariums are happy to charge them for it — so it’s not going to change very soon. While not pleased with the situation, Dr. Clegg believes we should strive to make their lives as happy and enjoyable as we possibly can while they’re here. I agree with her on both points. The full paper “Looking forward to interacting with their caretakers: dolphins’ anticipatory behaviour indicates motivation to participate in specific events” has been published in the journal Applied Animal Behavior Science.